They are Yorkshire’s food sensation of the year, and this Christmas, you can get a Yorkshire Wrap right here in Sheffield. The Yorkshire pudding wrap went viral earlier in 2017, as internet users across the UK and beyond marvelled at the mouth watering dish, which is essentially a roast dinner wrapped up burrito-style in a Yorkshire pudding. Now, you can get your hands on your very own Yorkshire Wrap at Sheffield Christmas Market. Enjoy your choice of roast meat, stuffing, crackling and veg wrapped in a giant Yorkshire pudding served with roasties – the perfect winter warmer! Sheffield Christmas Market is open daily until 6pm and until 8pm Thursday – Saturday. As well as delicious Yorkshire street food, the market has more than 50 stalls selling everything from jewellery and clothing, to gifts and toys. 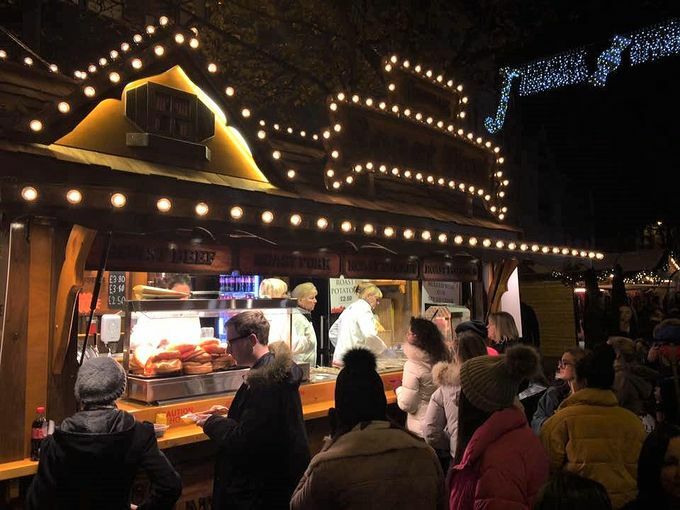 It’s not just shopping either, with a Santa’s Grotto for the kids and Sleigh Bar serving up mulled wine for the grown-ups, Sheffield Christmas Market makes for the perfect festive evening. Love food? Check out Alive After 5’s food and drink section for more great dining recommendations, offers and deals.